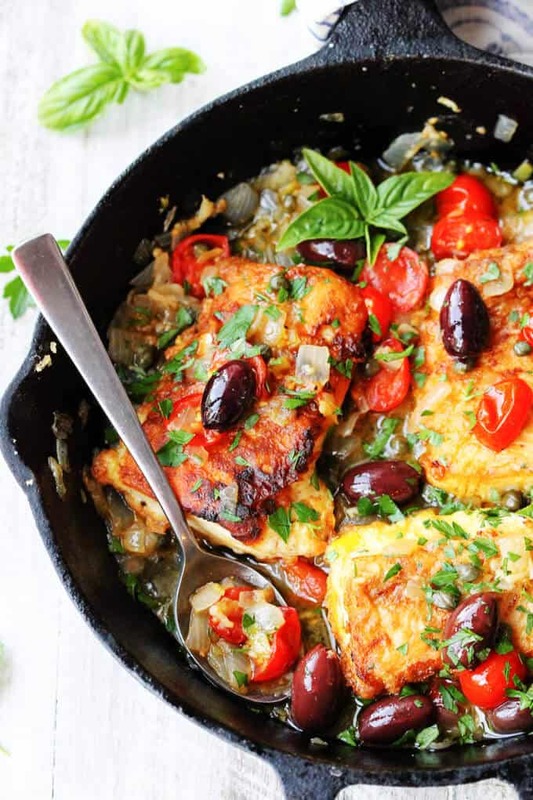 Pan Fried Haddock, Mediterranean Style, with white wine, cherry tomatoes, Kalamata olives and tangy capers, is a super easy, but very flavorful dish that can be ready in just 20 minutes. 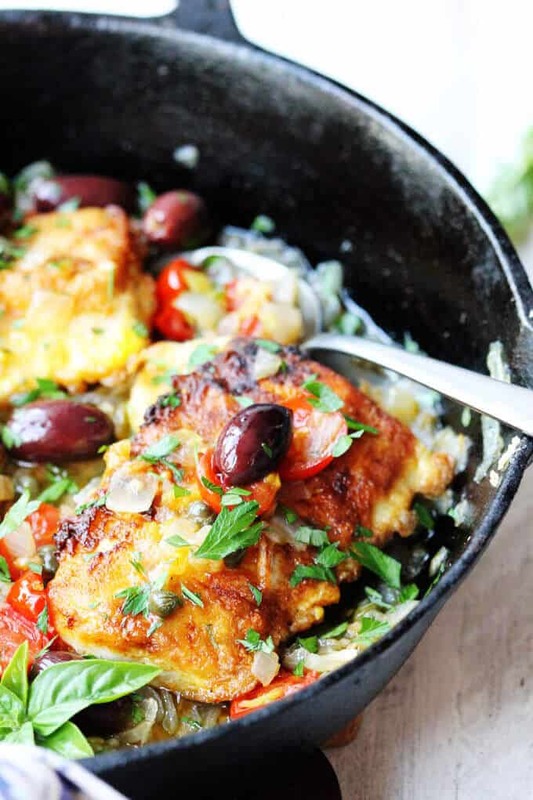 I’m really obsessed with this recipe for Pan Fried Haddock prepared in Mediterranean Style. The sauce is super tasty! 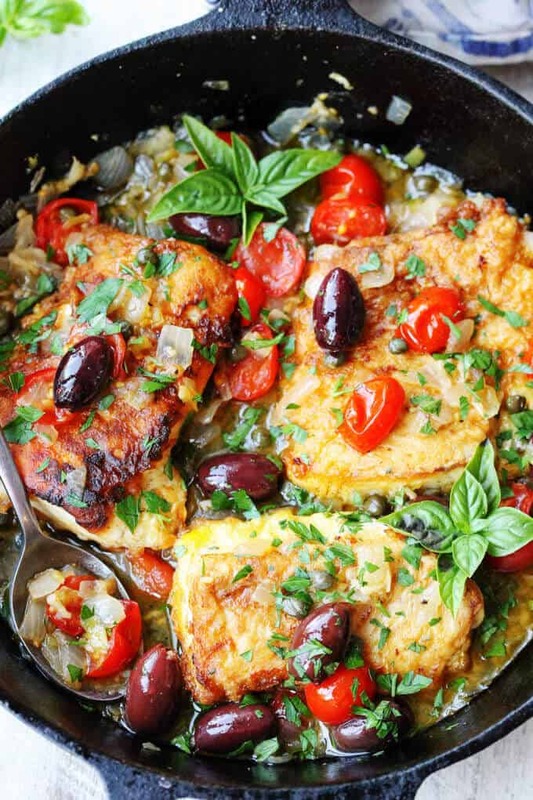 It combines all my favorite flavors, with olives and capers on the top of the list. And fish and wine pair so well together. But the real star is – the CRISPY fish. I know some will question, how can you achieve a crispy fish if it’s in a sauce? The secret is to fry the fish separately, and just serve it on a bed of the sauce. 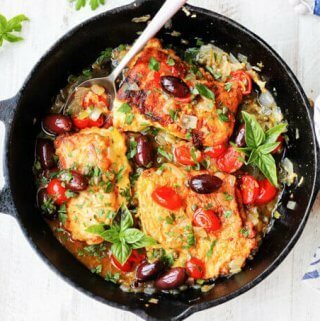 So, you make the sauce in a different pan and then either top the fish with it on it once it’s ready, or serve it on a plate (affiliate link) with the sauce on the bottom and the fish on top. But that’s not all… In order to make this fish super crispy and achieve a wonderfully golden brown color, I employed the magical power of…(wait for it)….WONDRA flour! I discovered the secret power of Wondra while making this Jacques Pepin Chicken with Garlic & Parsley and I am really obsessed with it. This stuff is amazing! It’s so fine and light. It creates very gentle coating, but makes the food so crispy! If you haven’t tried it yet then I highly recommend giving it a go. I found mine on Amazon (affiliate link), but most supermarkets have it too. But wait there’s more. After you coat your filet with Wondra, you’ll then submerge the fish in whipped egg and then fry it up on a hot pan with frying oil (I usually use cooking olive oil but you can use whichever cooking oil you have). I know it may sound weird, but it really does the trick. If you don’t have Wondra, don’t worry about it. You can use an all purpose flour and it’ll still achieve a crispiness. The batter on the fish will be a little thicker but it should still be crispy. You can also fry the fish without the egg wash – just with either Wondra or your all purpose flour. It’ll still be delicious. That said, I did like this extra coating from the egg. Fresh herbs (parsley & basil). Alright, as you can see that I threw peperoncini into the mix of ingredients here. Confession: ever since I participated in this Mezzetta event I cannot stop myself from putting peperoncini into everything. My husband is making fun of me and saying, “the Peperoncini Lady strikes again”. At the event I ate pan seared Bronzino with capers & peperoncini gremolata and it inspired me. This little pepper added a subtle kick of spiciness, but also a nice crunch and tanginess. So, I decided to add them to this recipe and, lo & behold, the sauce really came out amazing! You can skip the peperoncini, but I highly recommend it. 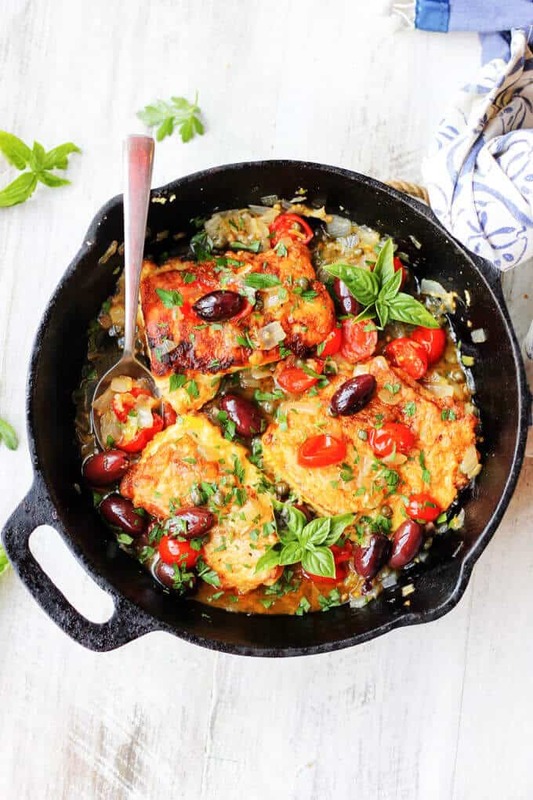 If you are looking for a quick and easy dinner idea or simple Mediterranean recipe this one will be a winner. 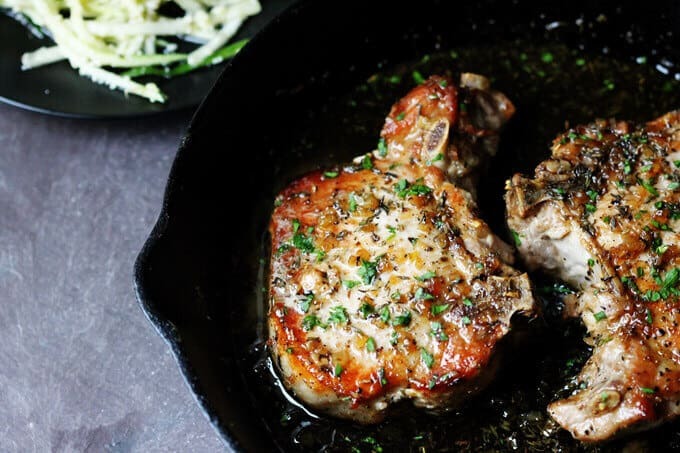 It’s light, it’s fragrant, and it can be ready in just 20 minutes. 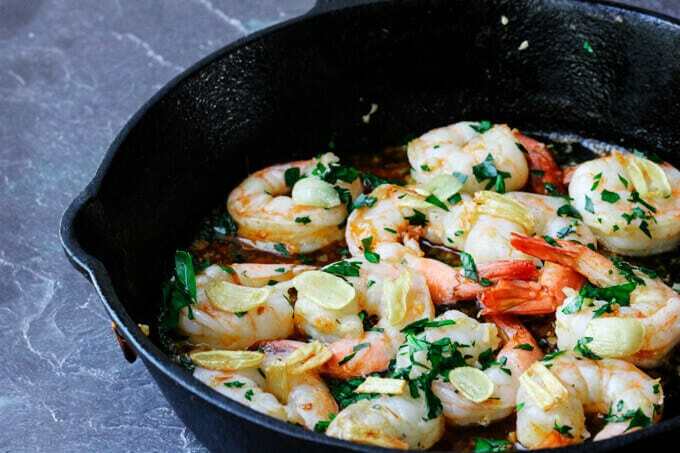 Serve it with a bite of crusty bread and a glass of chilled white wine (provided you still have some) and simply enjoy! If you adventurous you may want to start your dinner with a glass of chilled Andalusian Gazpacho. 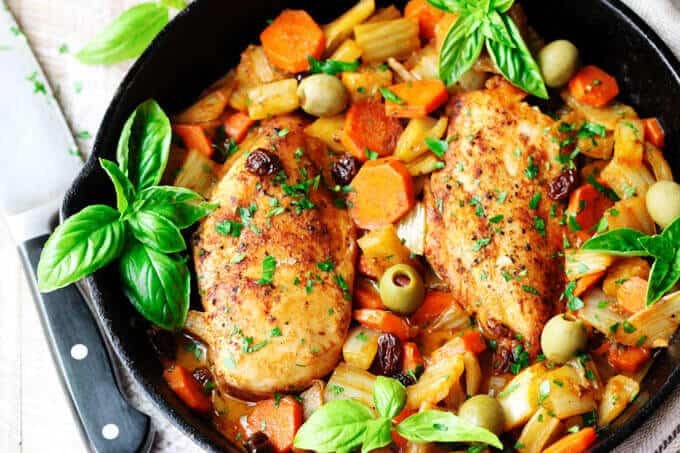 If you’re looking for more ideas of Mediterranean recipes, check out my compilation of The Best Mediterranean Recipes. 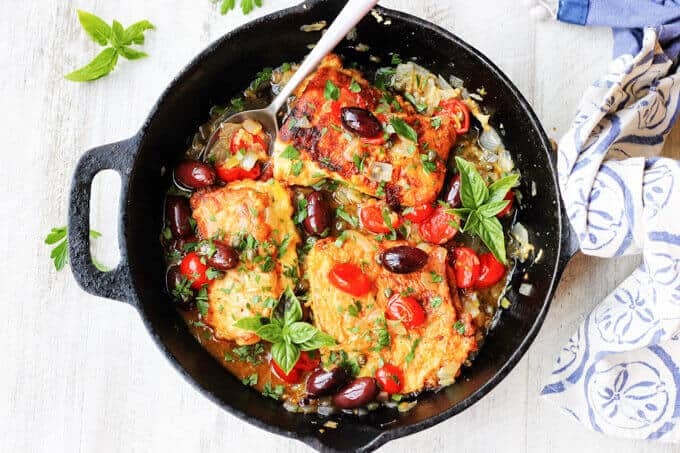 Pan Fried Haddock Mediterranean Style with white wine, cherry tomatoes, kalamata olives and tangy capers is very easy but very flavorful dish that can be ready in 20 minutes. Sprinkle with fresh herbs and serve with the fish. Also, I encourage you to FOLLOW Eating European on FACEBOOK | INSTAGRAM| PINTEREST | TWITTER for all the latest recipes and updates. Disclaimer: As an Amazon Affiliate, I earn a small credit when you make a purchase through a link provided here. This is one way to support this blog and my work. I only recommend what I like and use. Please only purchase what you need. 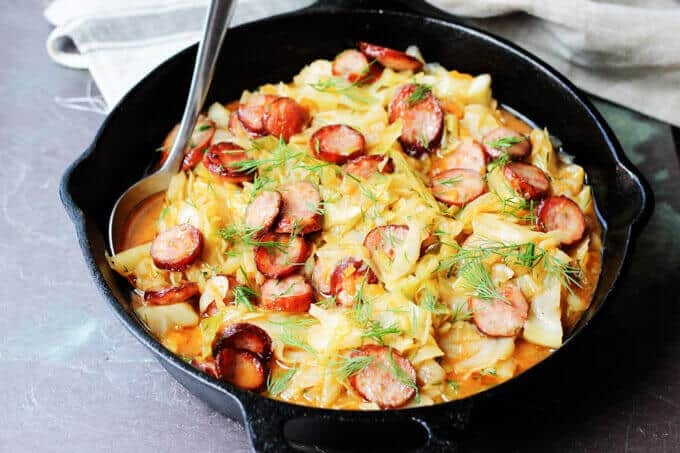 These photos look so gorgeous and this dish is so up my alley! Pinned and will def be making asap! This looks excellent. So fresh and healthy! You had me at kalamata olives. I love them! What a great combination! We’re always trying to eat more fish. I’ll have to try this recipe. Thanks for sharing! Awesome Alison, I hope you’ll like it! What a gorgeous, colorful dish! I love the idea of crispy fish in a sauce and appreciate your tips to make that happen. Pinning for sure.